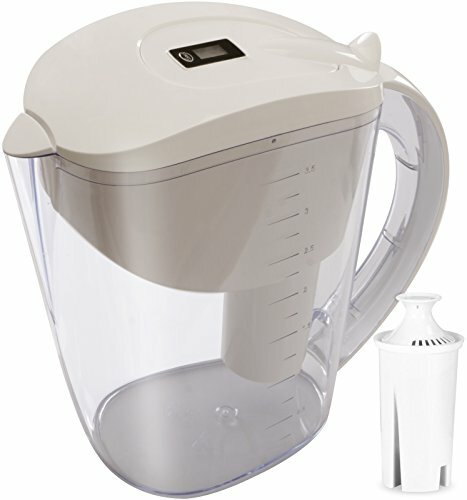 Utopia’s 10 cup water pitcher, with easy to use filter, is a great item to keep in your kitchen. Its advanced filter technology and large size help in delivering the finest of performance with a great serving size at a time. It’s a BPA-Free pitcher with sticker filter change indicator and easy-fill lid. The sticker filter indicator informs when the water filter needs to be changed so that prompt action is taken. It reduces chlorine taste, odor, copper, mercury, and cadmium to deliver healthier water for a better life. For the best utility, change the filter after every 40 gallons or every 2 months. If you have any questions about this product by Utopia Kitchen, contact us by completing and submitting the form below. If you are looking for a specif part number, please include it with your message.